This was too good not to blog, despite my self imposed break from it while I contribute to Culch.ie, the new Boards blog and the drain and source of energy and creativity that is the wonderful twitter. 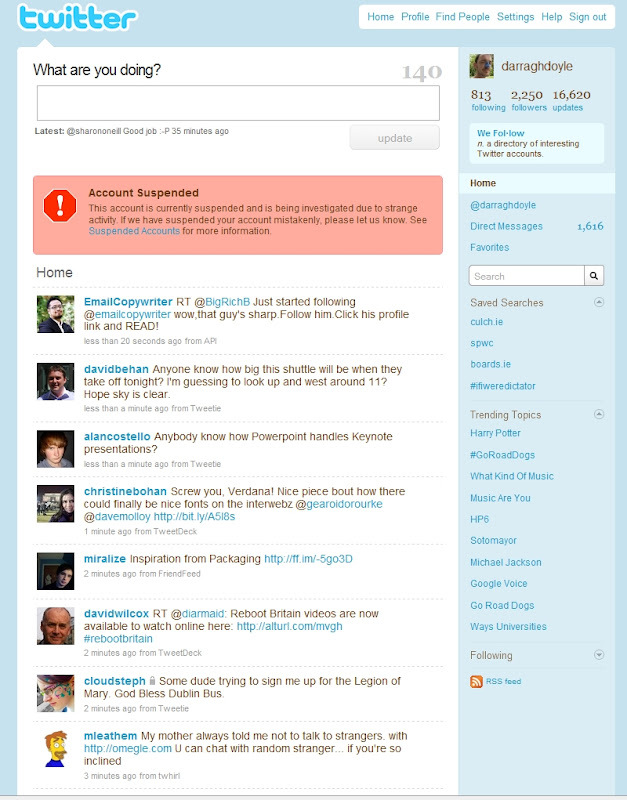 I've been suspended from Twitter. Yep, my crimes of bad jokes, being anti-spam, anti BS and general mischivousness has finally caught up with me. I swear, I haven't laughed so hard for ages, simply because I had been marking spammers as spam, ranting about retweeting and telling the usual very bad jokes. How do all my followers react? Same way I did. Laughing hard! 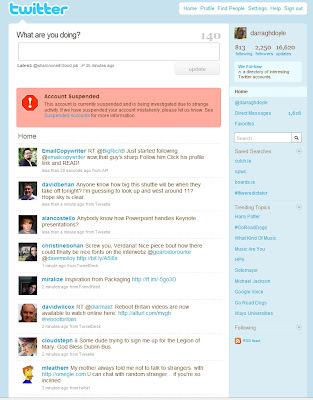 So it's over to the Contesting account suspension page on twitter.com with me to fill in the details. Anyways, I *will* be back to blogging here soon. Promise. Got some stories for you. Stuff that's in my head, my notebooks and my soul. 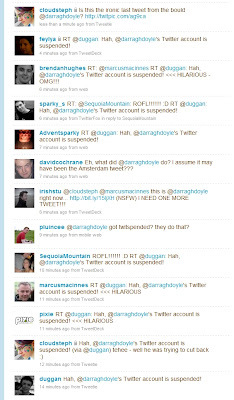 EDIT: I'm back... http://www.twitter.com/darraghdoyle - that was quick!